Apartments/Multi-residential – External walls, intertenancy and party walls, zero boundary walls, shaft walls, and flooring. As Australia’s only local manufacturer of AAC, CSR Hebel has over 25 years of experience meaning you can be assured you are getting a high quality product with the technical expertise to back it up. AAC is a material that has been used worldwide, originating in Europe over 80 years ago. Quality and speed – One standard Hebel panel is the equivalent of 75 traditional bricks. Noise reduction – Significantly reduces noise from external sources. Strong and solid – Get that solid masonry feel whilst still utilising a lightweight product. Fire Resistance – Hebel is a non-combustible building material and renowned for its fire resistant properties. Superior insulation qualities – Makes achieving minimum R Value requirements easier and keeps heating and cooling costs down. High sustainability values – With a 30% lower environmental impact than concrete or brick. Hebel PowerPanelXL – Fixed to steel or timber frames for cladding purposes, the system is extremely robust and is non-combustible, making it low-risk and ideal for bushfire prone areas. Panels are 75mm in thickness and come in a range of sizes from 2400mm in length through to 3300mm. This product is also widely used for intertenancy walls in low-rise applications. Hebel PowerPanel50 – Hebel’s PowerPanel50 Intertenancy wall system is a BCA compliant solution for low rise multi-residential frame construction. 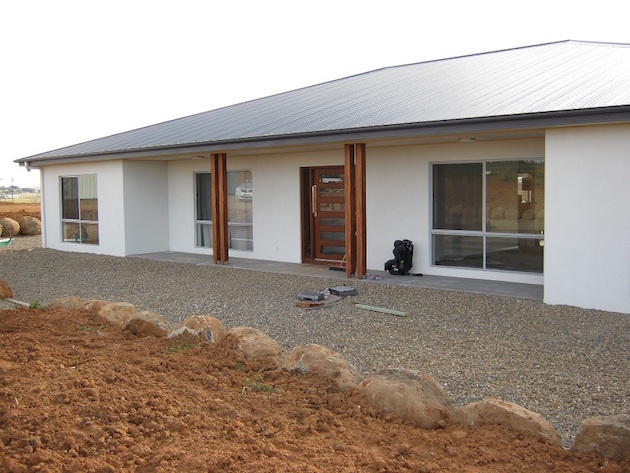 A revolution in autoclaved aerated concrete (AAC) panel manufacture, this 50mm thick steel reinforced Hebel panel is available in lengths up to 3 metres – setting a new standard in construction efficiency for intertenancy and dual zero boundary walls. Hebel PowerBlock+ – Hebel’s PowerBlock+ system is the ideal alternative to double brick, achieving a much higher thermal rating and quicker installation. PowerBlock is also great for those small projects you may have around the house such as built in barbecues and letterboxes. It is also commonly used by artists for its easy ability to be carved and sculpted. Hebel PowerPanel+ – Using caged tongue and groove PowerPanel+ and PowerFloor+, Hebel’s commercial and industrial systems delivers a high performing thermal and fire-rating solution that’s cost-effective and fast to install. In addition, the system provides effective sound transmission barrier between the external and internal environments of the building.